Using wax and paint to create inspired decorative items for the home, with 35 project shown in 300 easy-to-follow photographs. 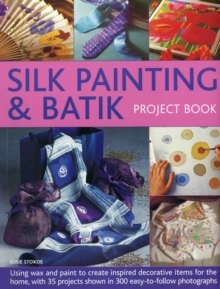 You can: master the creative art of silk painting and batik, and transform fabric into beautiful and original clothes and furnishings with this step-by-step technique and home craft book; learn how to paint on silk using gutta and stencils; how to use salt and bleach for pattern effects; and how to use hot wax resist, all illustrated with clear photographs; and, put your new skills to practical use and make a poppy painting for a wall, a salt-patterned tie, a pretty flowery camisole or an elegant scarf. 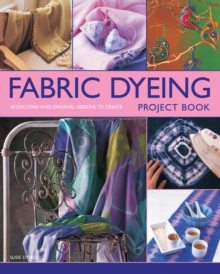 This book contains 35 stunning projects to make, ranging from clothing such as ties, scarves and a sarong, to home furnishings like cushion covers, wall hangings, screens and even a deckchair. 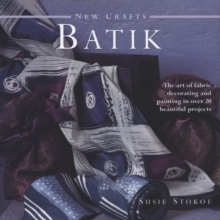 There are projects to suit all levels of ability from an abstract picture frame for a beginner to try, and a leather book cover for a good intermediate, to a complex batik cushion cover for those with more advanced skills. 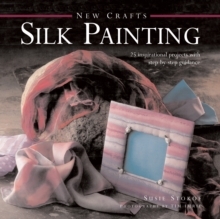 Each project explores the varied approaches and styles of working with these two decorative crafts.With step-by-step photographic sequences to show how each project is created, this is an essential technical reference and inspirational sourcebook of ideas.